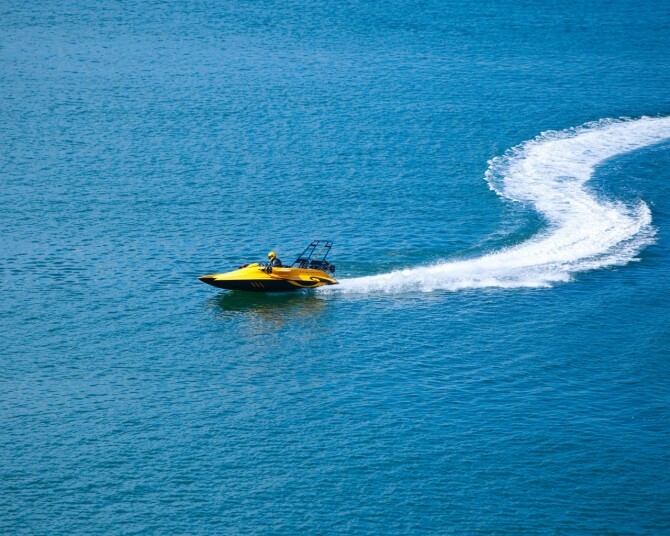 The vehicle shown above may be both yellow and submersible, but please don’t call it a submarine. It’s a Scubacraft, the first self-contained submersible that’s also a capable surface watercraft. It’s not a pressurized submarine, which means that those on board must wear scuba gear before submersion. With no cranes needed to lower the craft below water and no boat needed to carry it out to sea, a Scubacraft is significantly more versatile and less expensive than similarly sized submarines. Scubacraft won’t say how much the craft costs, but other sources put the figure at $164,000. Beyond underwater tourism, Browne says film producers are especially interested. A future Scubacraft concept even features a dedicated filming platform that hopefully will be used for IMAX nature films, not Waterworld 2. The company will eventually offer two models: the SC3, currently in prototype form, and a larger SC6 that has yet to be built. Both will use internal-combustion engines on the surface; batteries will power electric thrusters underwater. As a precaution against the bends, computerized “automatic depth control” ensures that the Scubacraft won’t descend or climb too quickly. 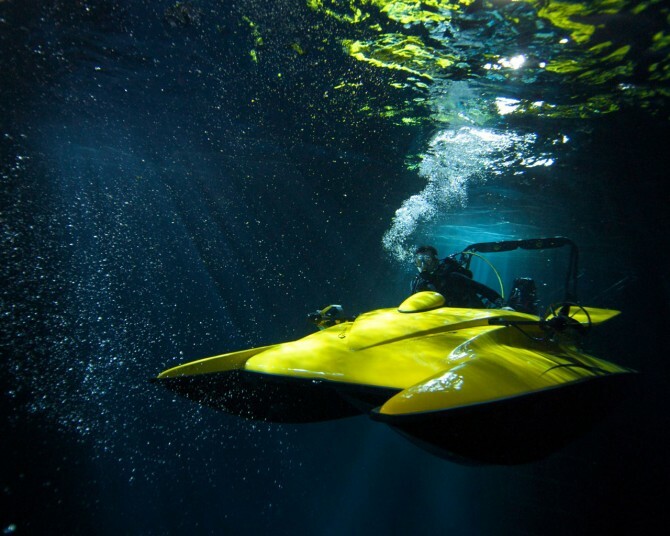 Photos: Creative Worldwide, maker of Scubacraft submersible watercraft. …..but does it come with an iPod dock?